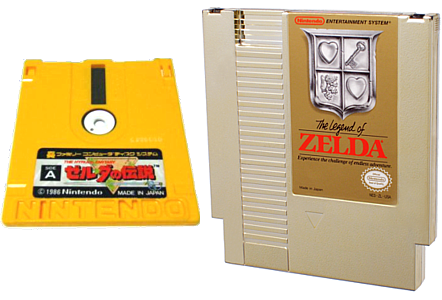 You may just know everything these was to know about Nintendo’s The Legend of Zelda, but what about the Japanese version that spawned it? As it turns out, the version of the game released in its native country had more than a few differences from the one you know an dlove. Clyde Mandelin, a.k.a. “Tomato,” the Japanese-to-English translator who earned a place in heaven by providing fan translations of the Mother series, has written up an exhaustive “Legends of Localization” about the original English translation of The Legend of Zelda. The insanely detailed write-up covers topics including the differences between the original Famicom Disk System version and the cartridge version released for the North American Nintendo Entertainment System, changes in enemy design, and the details of Japanese dialects that indicate all kinds of untranslatable information about your friendly neighborhood NPCs. • The original Japanese title was “The Hyrule Fantasy: Legend of Zelda”, a header that was used on all Japanese Zelda-related merchandise. • Japanese consumers could get a discount on the game by buying it at special disk burning kiosks that bear a striking resemblance to hyperactive Redbox dispensaries. • Japanese gamers regard clunky “Engrish” with the same nostalgic affection as Western gamers. But some of the most famously clunky lines in the original Zelda were added by the English translators, and weren’t in the original game at all. I could keep pulling out delightful excerpts, but really, go read the whole thing. It’s an amazingly detailed, entertaining write-up of a game that can never be talked about too much. A hat tip for this find goes to Metafilter. Is iOS the best-selling gaming platform of this generation?